In June 1997, the defendant told a police officer in Louisiana that he had killed an individual in Jacksonville, Florida. He revealed that he had beaten a man to death during a robbery. Miller met with a detective, was informed of his rights, and recounted the events of April 4, 1997. Prior to the incident, Miller stated he drank three to four quarts of beer and had smoked ten dollars worth of crack cocaine. He stated that he then began to look for money and more beer. He found a dented six-foot pipe in a park. Miller then walked behind a building and saw a man sleeping under a blanket. He stated that he did not intend to rob the victim until he was standing over him with the pipe. Miller asserted that he hit the victim, Albert Floyd, with the pipe to disable him and avoid a struggle. Miller stressed that his intention was not to kill the man. He struck the man again to avoid resistance. His reasoning was that homeless people carried guns and knives, and his objective was to prevent injury to himself. The woman sleeping next to Mr. Floyd was Linda Fullwood. Ms. Fullwood stated that she woke up to find a man beating Mr. Floyd with either a stick or a pipe. Ms. Fullwood screamed and Miller struck her with the pipe. Miller stated that he acted without thinking and hit Fullwood instinctively. Jimmy Hall, who was walking along Duval Street, heard Ms. Fullwood’s screams and ran to the scene. Mr. Hall stated that he saw a man beating two people with a pipe. He estimated the pipe was four to five feet long with a bent end. Mr. Hall saw the assailant using both of his hands to swing the pipe. Mr. Hall yelled for the assailant to stop. Miller stated that when Mr. Hall yelled he realized what he was doing and fled. Mr. Floyd died from three blows to the head, which fractured his skull and penetrated the brain. Miller stated that he turned himself in because he thought that the victim’s family was looking for him, his conscience was bothering him, he knew what he did was wrong, and he wanted to apologize to the victim’s family. Once Miller was transferred to Jacksonville, Miller showed a detective the scene of the crime along with walking the detective through the events of the crime. 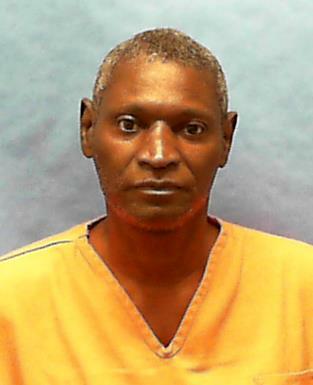 Miller was sentenced to death in Duval County on July 24, 1998. Miller filed a Direct Appeal to the Florida Supreme Court on 8/27/98. Three main issues were raised: whether the trial court erred in denying the appellant’s motion for judgment of acquittal on premeditation, declining to find certain nonstatutory mitigating circumstances and whether the sentence was proportionate. The Court found that the trial court properly denied the defendant’s motion and did not commit reversible error in regard to nonstatutory mitigating factors and that the sentence was proportionate, thereby affirming Miller conviction and sentence on 08/31/00. On 09/27/01, Miller filed a 3.850 Motion to the Circuit Court, which was denied on 04/22/04. On 05/24/04, Miller filed a 3.850 Appeal to the Florida Supreme Court. On 03/23/06, the Court affirmed the trial court’s denial of Miller’s 3.850 Motion. The mandate was issued on 04/13/06. Miller filed a Petition for Writ of Habeas Corpus to the Florida Supreme Court on 03/17/05, which was denied on 03/23/06. The mandate was issued on 04/13/06. On August 15, 2017, Miller filed a habeas petition in Federal District Court.